Weeknight cooking needs to be quick. While I generally get home from work at a decent hour, my family has gotten used to eating on the early side. My father-in-law managed a grocery store for many years. He would often work the afternoon and evening shift and would take a lunch break prior to the evening rush. He would come home and my wife’s family would eat around 4PM. That history, plus a large amount of evening activities for the kids (soccer, karate, story time at the library, etc…) often meant getting dinner on the table by 5:30. When I make the menu for the week, I will sometime fail to notice that something takes 30 minutes to prepare and then sits in the oven for an hour. Needless to say, those then get bumped for the weekend. This quick and delicious stir fry is great for weeknight cooking. The browns, greens and oranges bring great color and the carrots and nuts add different texture to the softer ingredients. A fairly small set of ingredients. 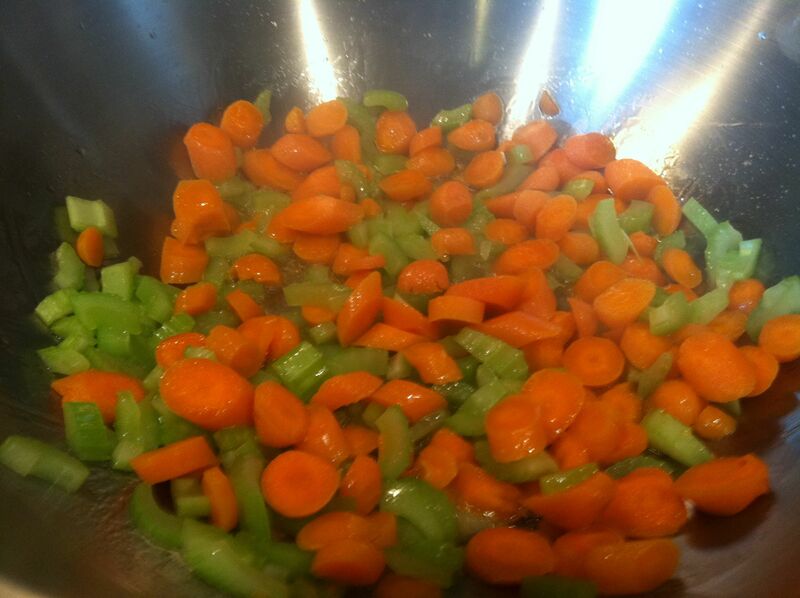 Cook up the celery and carrots. The nuts go in at the end to retain their crunch. Heat 1 teaspoon of the oil in a wok over high heat. 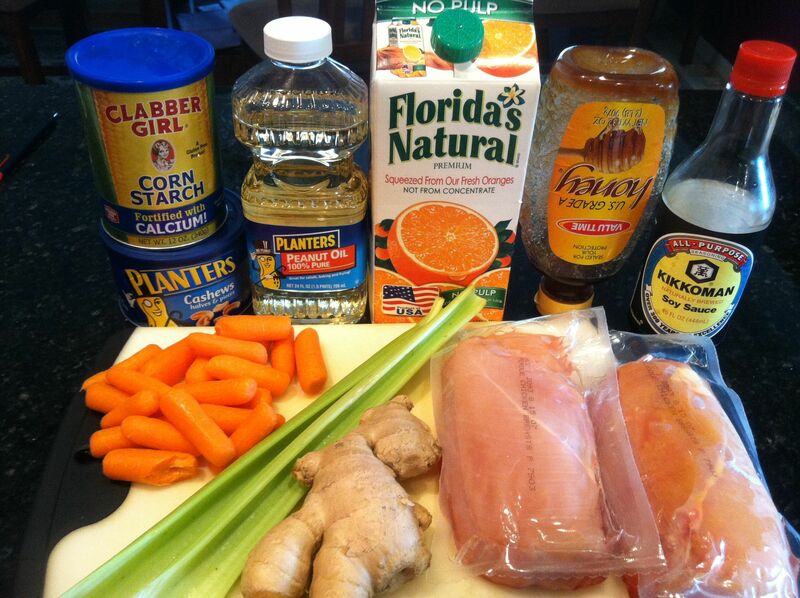 Add the carrots and celery and stir fry for 3 minutes. 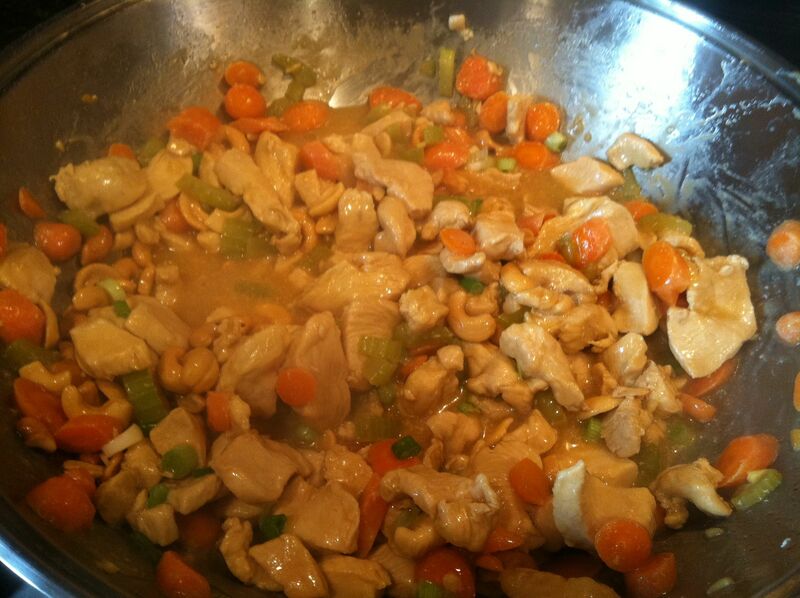 Add remaining 1 teaspoon oil, then add the chicken and stir fry for 5 more minutes. In a small bowl, dissolve the cornstarch into the orange juice. Mix in the soy sauce, honey and ginger. Add this sauce to the wok and cook over medium heat until thickened. 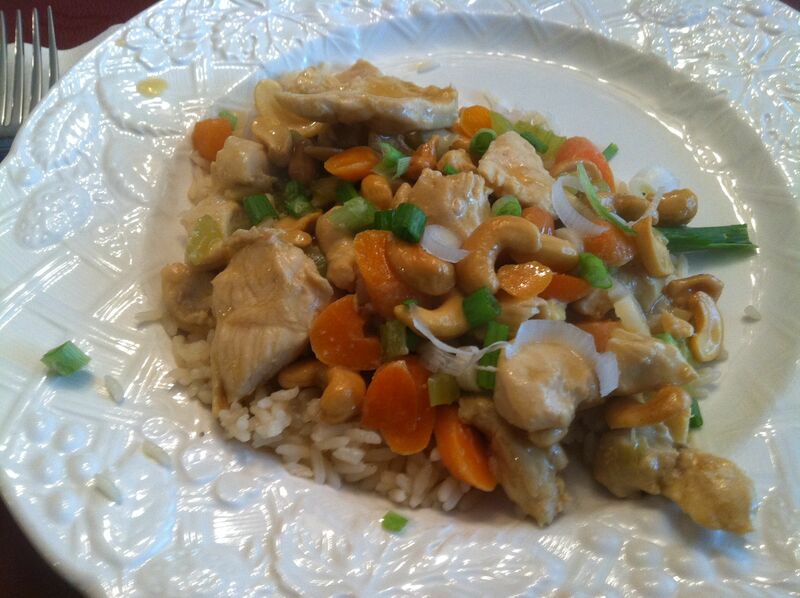 Top with the cashews and green onions. Glad you ‘rewound’ this baby – it looks great! !